SALT LAKE — A close first half turned into a rout as Kamehameha pulled away in the second half to batter Kahuku, 61-33, on the opening day of the OIA-ILH Challenge at Moanalua on Thursday. The Warriors remain unbeaten in the preseason improving to 5-0 overall. The defending state champion Red Raiders drop to 4-1 overall. Tolu Smith, the 6-foot-10 center transfer from Mississippi, did not suit up due to various ailments. His availability for the next two games is uncertain. "Without Tolu, we don't have a deep bench so that hurts us with foul trouble and then we have guys that aren't used to it. It's early on and it happens. We'll learn from it and move forward," said Kahuku coach Brandyn Akana. The 6-foot-6 forward Kobe Young took advantage of Smith's absence and erupted for 17 points, nine rebounds and five blocks for Kamehameha. "The biggest thing for me is mismatches. Tolu wasn't playing and hope he gets better. I saw the height wasn't really there and took advantage of it tonight. If I have to go inside, that's what I got to do. Anything for the team," said Young, who had four three-point play opportunities in the post. 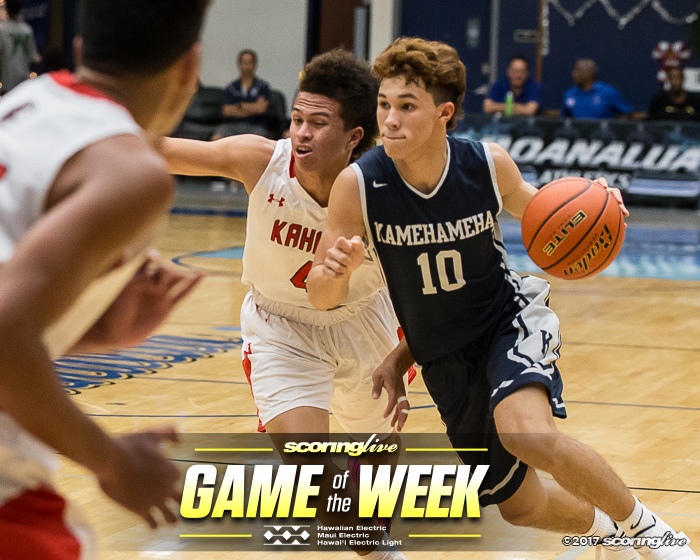 "His toughness around the basket and his rebounding was unbelievable and his defense that's what sparked us and Kam (Kamren) got hot and knocked down some shots," said Kamehameha coach Greg Tacon. Kamren Victorino-Kato led all scorers with 24 points and went off in the fourth quarter to make three of his four 3-pointers to balloon the lead. The Warriors opened the game on a 5-0 run, but the Red Raiders managed to tie the game at 7 off of Marcus Damuni's putback. Kahuku made its first field goal at the 3:06 mark and closed out the quarter on a 11-0 run. "Just because their best player is not playing, don't come out and play soft. 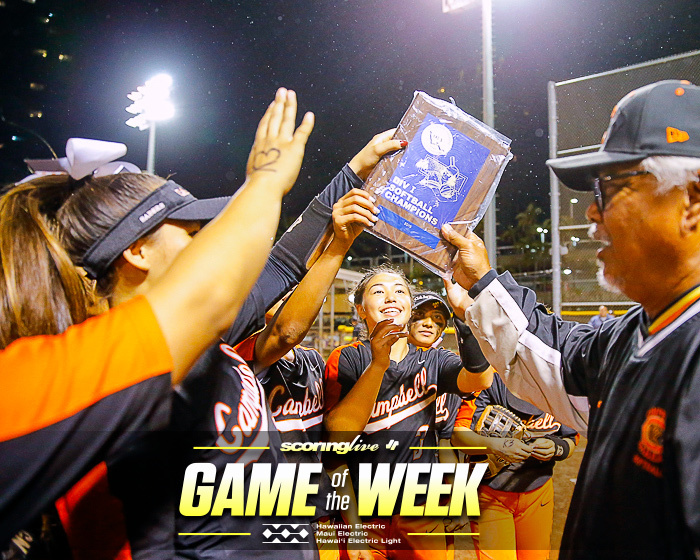 They (Kahuku) played scrappy and I knew they would do that," said Young. Kamehameha tied the score at 12, but Kahuku pulled away on free throws and a jumper from Ruanui Winitana for a 20-14 lead. Victorino-Kato drained a pair of free throws and Laamea Frank sank a 3-pointer near the top of the arc as the Warriors trailed, 20-19 going into halftime. "Their physicality in the first half disrupted stuff for us and made it hard. I thought we came out in the second half and were able to handle it better and started knocking down shots," said Tacon. 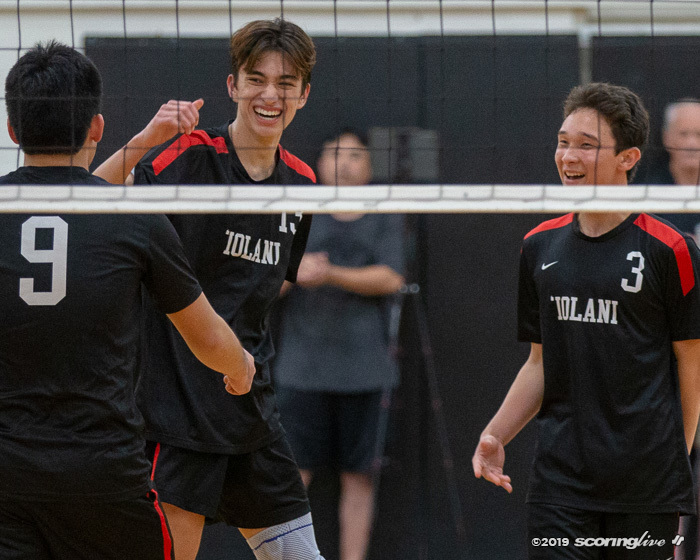 "I thought we gave them problems on defense and we were physical and the didn't get the calls and it got tough and got guys in foul trouble," said Akana. The Warriors tied the game at 22 on Young's and-one, but Blaze Guerrero followed up on the missed free throw with a putback to retake the lead and never looked back from there. 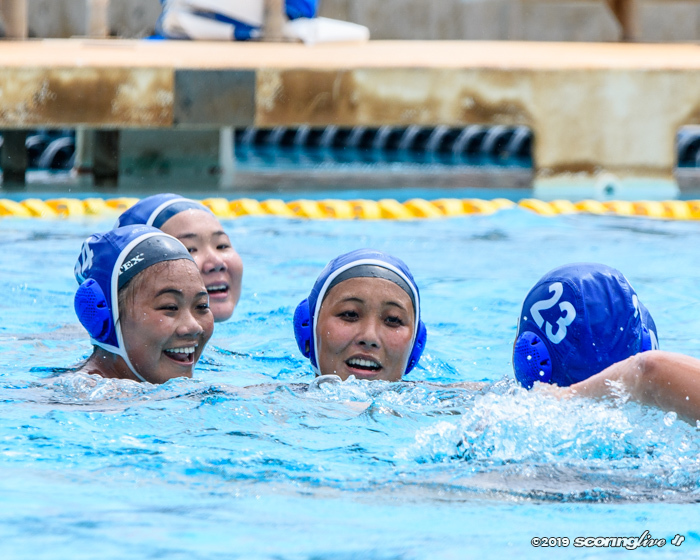 Kamehameha outscored Kahuku, 22 to 5 in the quarter, 42 to 13 in the second half. "Coach (Tacon) got us fired up and he told us to get ready. We have to come out in the third quarter to win this. We adjusted and that was the biggest thing," said Young. The Red Raiders shot 2 of 17 from the field in the third quarter, 9 of 50 from the field overall. Kahuku also had to deal with foul trouble as well. "We're young. Guys got into early foul trouble. 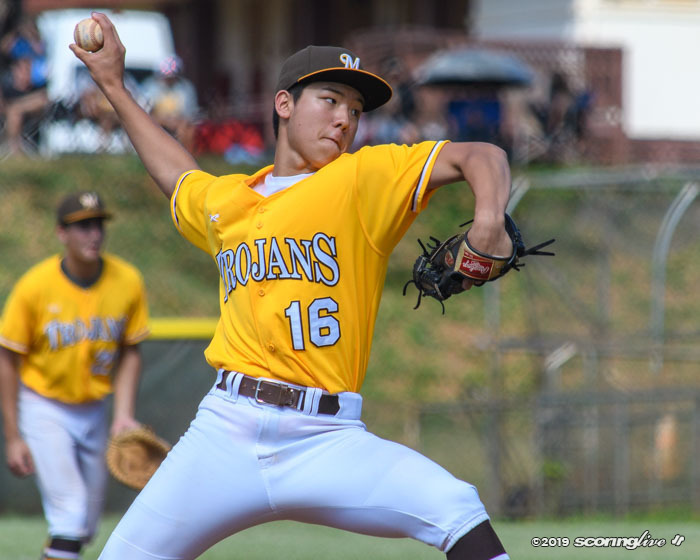 For a young team it's tough, but I thought we did well when we played the game," said Akana. Winitana, a transfer from New Zealand, led Kahuku with 11 points and Damuni added 11 rebounds and 10 points off 8-for-14 shooting from the free throw line. 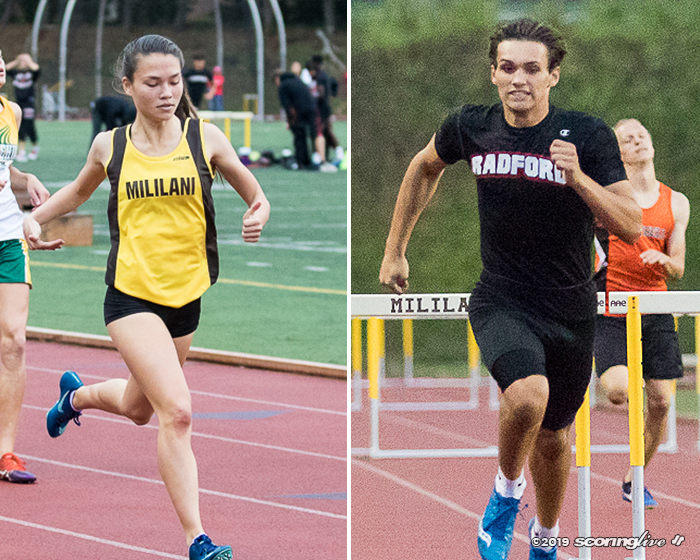 Kahuku plays Saint Louis at 8:30 p.m. on Friday and Iolani at 3:30 p.m. on Saturday. 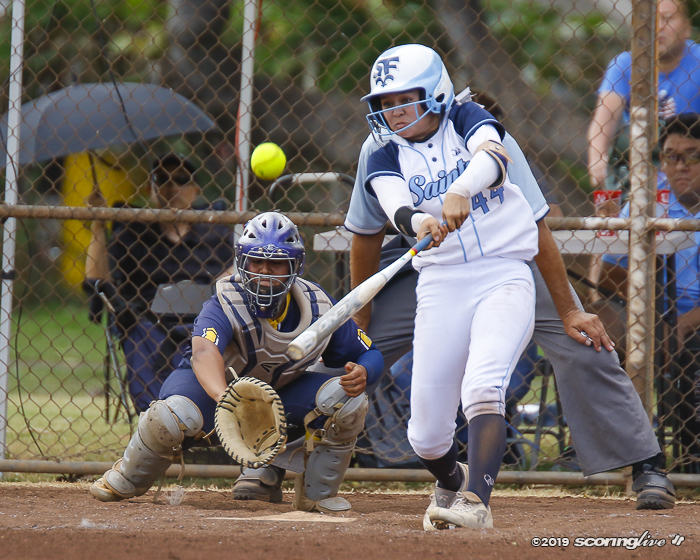 Kamehameha plays Leilehua on Friday at 4 p.m. and finishes Saturday with host Moanalua at 8:30 p.m.
Reach Brandon Ching at [email protected].